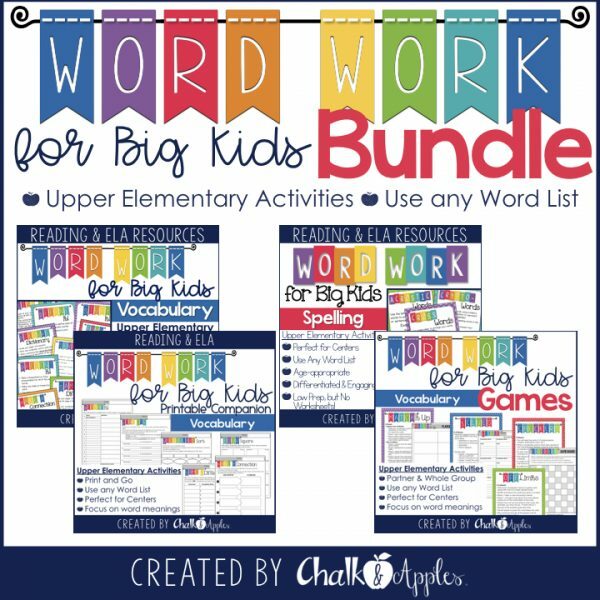 It can be so hard to find appropriate, challenging word work for big kids in the intermediate grades… These activities are perfect word work for big kids to use with Daily 5 or in literacy centers for upper elementary students. Just print, laminate, and place in your Word Work center for easy student instructions! 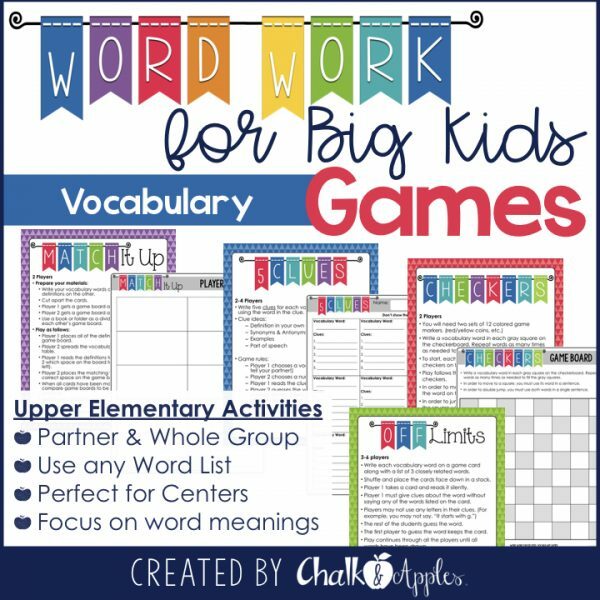 These activities are perfect word work for big kids to use with Daily 5 or in literacy centers for upper elementary students. Just print, laminate, and place in your Word Work center for easy student instructions! 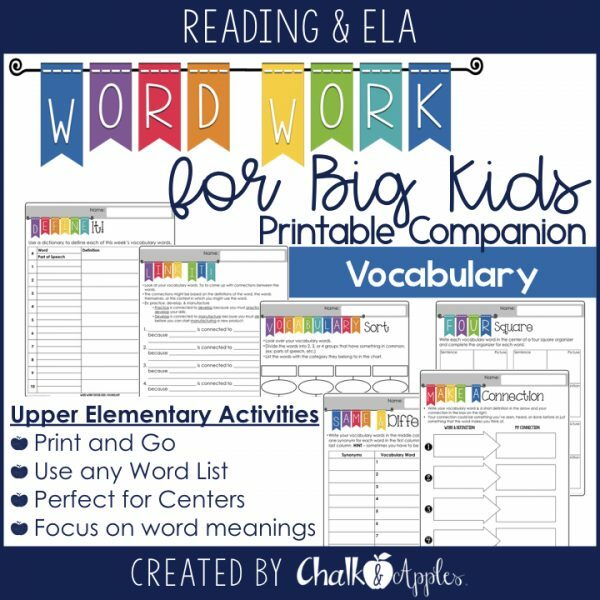 By teacher request, this companion resource includes printable graphic organizers for 15 of the Word Work activities included in my original Word Work for Big Kids pack. 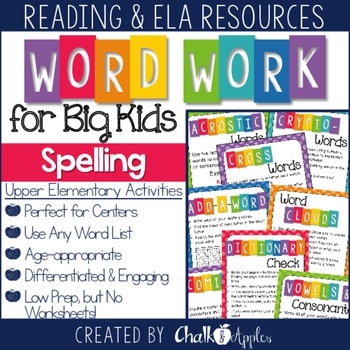 These activities are perfect word work for big kids to use with Daily 5, in literacy centers, or for homework as a spelling contract for upper elementary students. 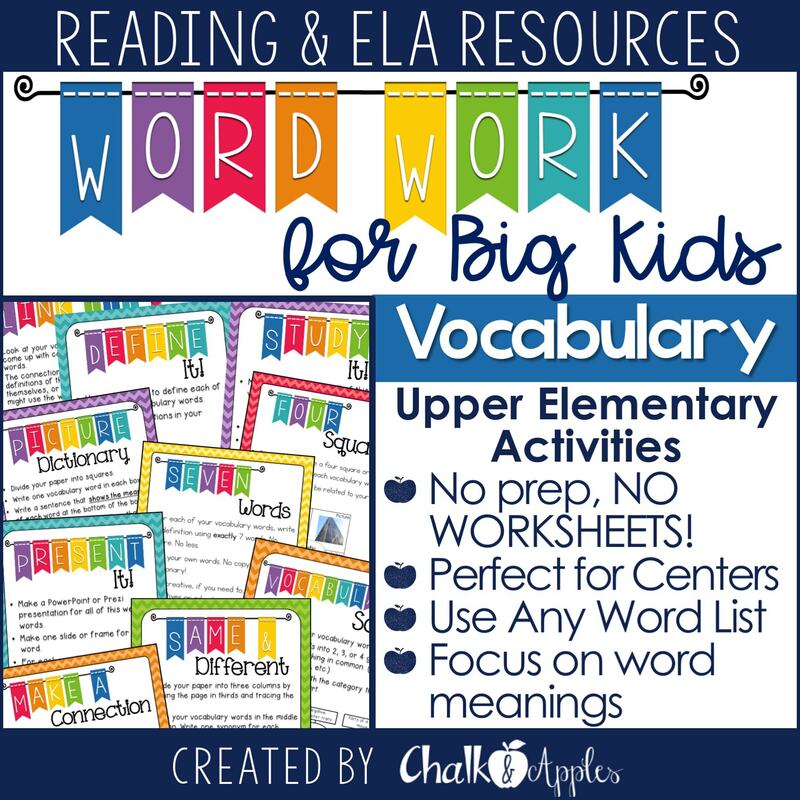 *No vocabulary or spelling word lists are included in these resources. 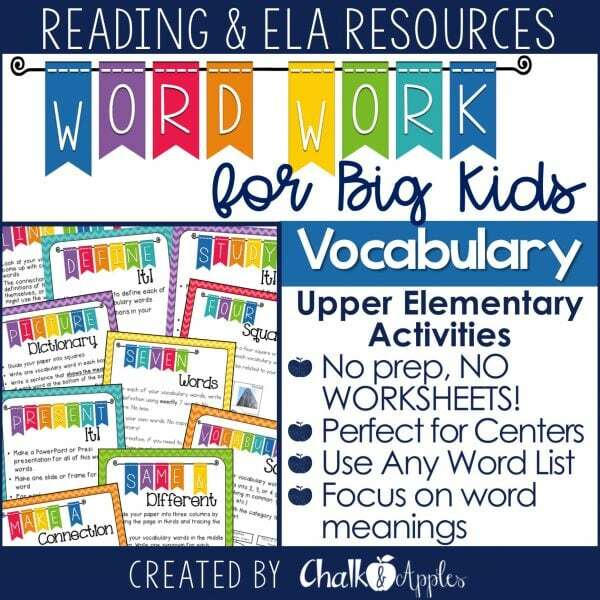 These activities were created to support the vocabulary and spelling words you are already using in your curriculum.